You can access and download thousands of free teacher-created interactive lessons that correspond to your specific curriculum. Furthermore, you can easily customize the lessons found on the MimioConnect site to fit specific classroom needs, with the MimioStudio™ classroom software. You can alter lessons to accommodate your teaching style and/or the individual learning styles and needs of your students. Educators can connect with other MimioConnect members in their school, district, or even across the country to share their ideas for lessons and collaborate on projects. Once you are a member you can share your background, current teaching situation, and personal stories to get to know other members better. You can share lessons with others and learn why and how the lesson was used successfully. Ask a Mimio Master: Ask a Master allows you to contact a Mimio expert to pose a question, raise an issue, or explore a situation on any topic. Masters are practicing teachers, tech coordinators, and other educators who are well trained in interactive teaching and interactive technology products in the classroom. You can also search the answer database for helpful tutorials. 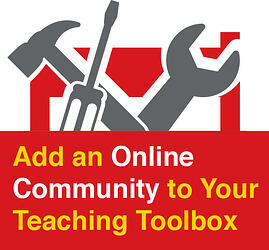 Forums: Educators can engage in discussions on an existing forum, or even create their own discussions. You can ask one another questions, and the entire community can benefit from a shared knowledge base. Groups: Educators can join an existing group or create one of their own for their school. This allows you to share with a smaller group of members for a specific subject, topic, or interest. There is fun and seasonal content posted all the time, so you can add the latest trends and holidays into your lessons. Check out the weekly Throw Back Thursday lessons or explore the fun holiday packs. How Do You Register for Membership in the MimioConnect Teaching Community? As previously mentioned, MimioConnect membership is completely free. To register, simply visit mimioconnect.com/user/register. Once you have experienced this amazing resource, be sure to share the news with other teachers in your school. The MimioConnect teaching community is the best way to get ready for the upcoming school year and beyond. Still not sure if an online educator community is right for you? Check out this informative webinar to give you an even deeper dive into MimioConnect. MimioConnect is a dynamic, informative and fun personal/professional learning network (PLN) with a single goal: helping teachers harness technology to help kids learn. Paul is an outstanding educator from the Cleveland, Ohio area and currently teaches high school social studies. He has been a classroom teacher for 15 years and has been an avid Mimio user for much of that and serves as a Mimio Quick Learn instructor and helps manage the MimioConnect teacher community.